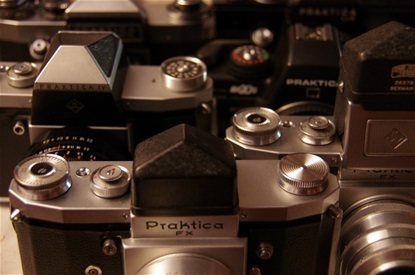 PRAKTICA, ZENIT, CONTAX, MINOLTA, KONICA-MINOLTA, COSINA. Some of the biggest and most influential brands disappeared during the first decade of the new millennium. 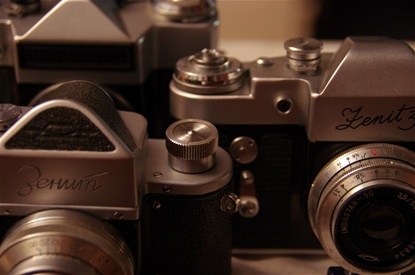 Both Praktica of East Germany and Zenith of the Soviet Union were among the pathfinders to develop the PP SLR. They had a considerable home market in the eastern block, but were often refused or hampered to export to the west. After the return of capitalism to the eastern Europe, the big state driven factories with masses of people given jobs could not compete against the more cost effective western companies. Or, if they could, the official policy was not to run factories, so they were sold to private investors. The brands still excisted for a little more than a decade before they closed down. Another big player to disappear was Minolta, or Konica Minolta as the company was named after the merging of the two in 2003. 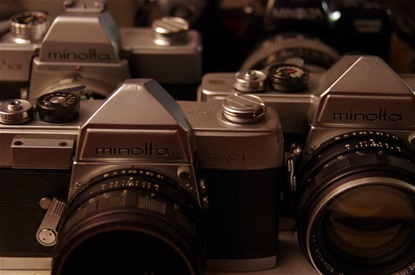 Minolta had a long history of innovations and quality, but was alway squeezed between the giants, first Pentax and Nikon, then more severely by Canon and Nikon. The merging with Konica did not really help any of them, and they sold their camera division to Sony in 2006. Contax of Dresden gave up in 1962, but their west german counterpart started PP SLR production in Japan in cooperation with Yashica. They kept it going for a long while, but ceased production in 2005. Konica was an innovative brand. Their first PP SLR came in 1960, not among the first, but through the 60s they built many interesting cameras. Like this Autoreflex T, the first to feature a TTL full opening automatic aperture when setting shutter time. 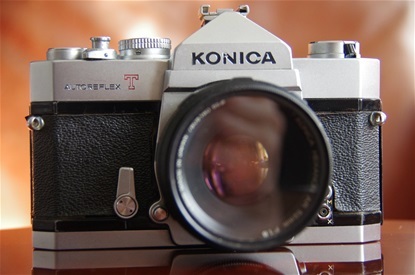 Konica stopped producing PP SLRs in the 80s, but their name reappeared as Konica Minolta after merging with Minolta in 2003.